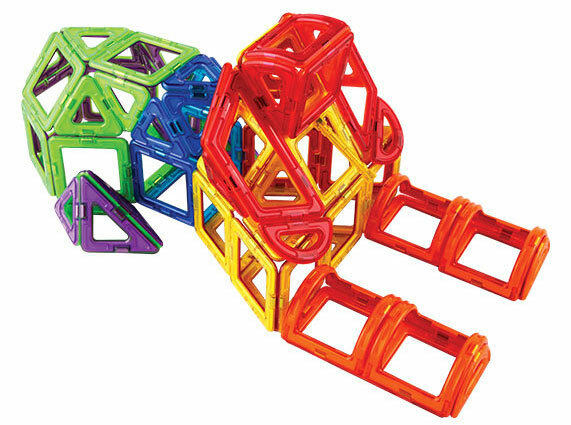 Magformers is a three-dimensional magnetic toy that develops children’s creativity and aids in their brain development. Magnets have north and south poles: opposite poles attract each other while similar poles repel each other. The neodymium magnets inside Magformers pieces, however, allow every piece to attach to each other regardless of their pole. Thus, not only do Magformers pieces stack like normal blocks, they can also connect three-dimensionally and in any direction. Magformers is the foremost three-dimensional magnetic educational toy for nurturing child creativity and brain development. Children can create their own original structures by connecting and assembling various geometric figures. 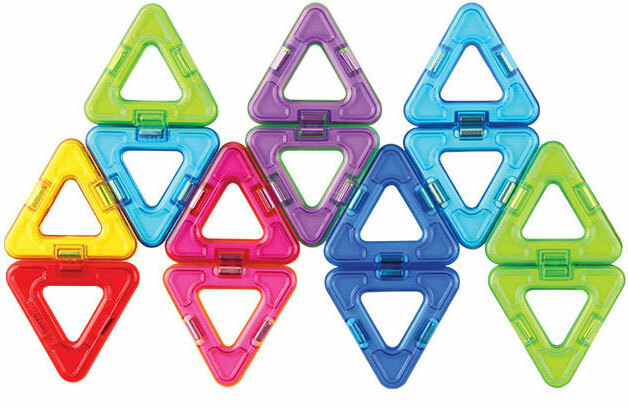 Children can observe how two-dimensional shapes become three-dimensional structures, and by doing so, understand the principles of magnets and expand their limitless imagination and creativity. 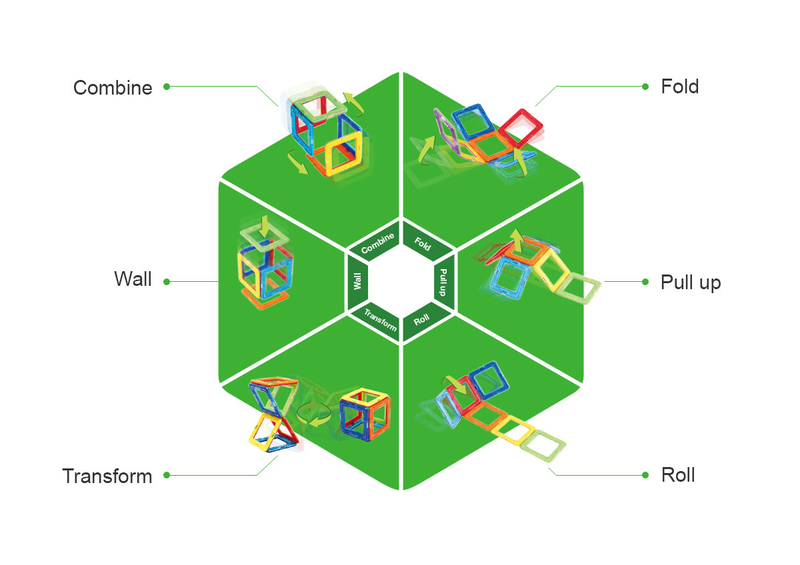 Children can create whatever shapes and figures they want with Magformers using six very simple methods.